Acupuncture Point Injection or Biopuncture therapy is an integrative therapy that involves the injection of small amounts of vitamins, homeopathic medicine and other nutritional supplements in the form of sterile substances into acupuncture points specific to your wellness needs, administered by our certified acupuncture physician. Acupuncture Point Injection Therapy is used when we think you need a deeper therapeutic form of acupuncture. 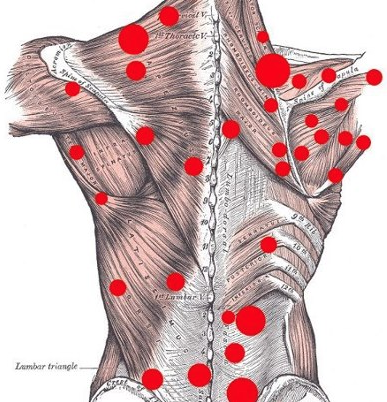 For more information about acupuncture point injection, trigger point acupuncture therapy, trigger point injection cost, trigger point acupuncture side effects or to make an appointment for a FREE Consultation via phone or in person, please call 813.464.0967, or click here. How does Acupoint Injection Therapy work? Acupuncture Point Injection Therapy does not simply suppress or mask pain, but rather prompts the body to treat the cause of the pain via self healing mechanisms. When the natural therapeutic bio- injectables are introduced into the affected area or corresponding acupuncture point, the body easily absorbs the substance and answers with a quick immune response. By applying the biotherapeutics on acupuncture points, a highly synergistic effect is being created, which enhances the power of both the acupuncture point and the biotherapeutic medicine. Furthermore, by leaving a deposit of medicine at the injection site will activate and stimulate the acupuncture point for a longer period of time. Therefore, Acupoint Injection Therapy can help speed up the healing process and restore health. Acupoint Injection Therapy is very useful for acute sprains and strains, and is ideal for chronic conditions that have failed to respond to conventional treatment methods. Most patients get nervous when they hear the word “injection”. Let us reassure you that you’ll be surprised how easy and quickly these injections can be given. Unlike many injections given in conventional medicine, the needles we use are of the smallest size and finest quality available. The injections are typically painless or only mildly uncomfortable. Patients will notice a positive response and reduction of pain to some degree immediately following Acupoint Injection Therapy. However, most conditions will require multiple treatment sessions in order to achieve the desired optimum healing result.